We're now past the half way mark of the festival, with only ten Competition films left including today's pair. Yesterday's films were universally bashed by the critics, let's hope today's lineup fares better. Here's a recap of the seventh day of the 66th Cannes Film Festival (Festival de Cannes), which runs until Sunday May 26, 2013. 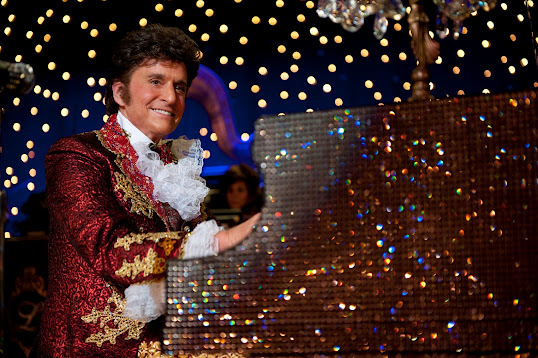 From the USA, Behind the Candelabra by Steven Soderbergh. The previous Palme d'Or winner with his 'final' film as a director. Before Elvis, before Elton John, Madonna and Lady Gaga, there was Liberace: virtuoso pianist, outrageous entertainer and flamboyant star of stage and television. Liberace lived lavishly and embraced a lifestyle of excess both on and off stage. In summer 1977, handsome young stranger Scott Thorson walked into his dressing room and, despite their age difference and seemingly different worlds, the two embarked on a secretive five-year love affair. From Italy, La Grande Bellezza (The Great Beauty) by Paolo Sorrentino. 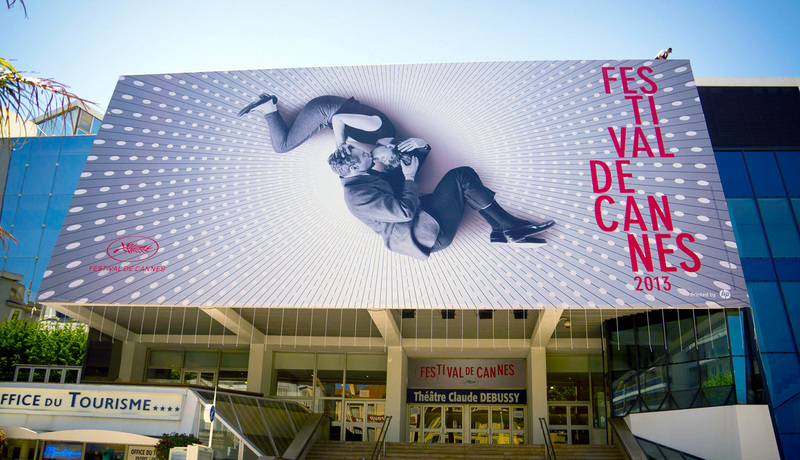 This is his fifth time in the main competition at Cannes. Aristocratic ladies, social climbers, politicians, high-flying criminals, journalists, actors, decadent nobles, prelates, artists and intellectuals - whether authentic or presumed - form the tissue of these flaky relationships, all engulfed in a desperate Babylon which plays out in the antique palaces, immense villas and most beautiful terraces in the city? They are all there, and they are not seen in a good light? Jep Gambardella, 65, indolent and disenchanted, his eyes permanently imbued with gin and tonic, watches this parade of hollow, doomed, powerful yet depressed humanity. A moral lifelessness enough to make one’s head spin? And in the background, Rome in summer. Splendid and indifferent, like a dead diva? From Canada, Sarah Préfère la Course (Sarah Prefers To Run) by Chloé Robichaud. Sarah is a gifted young middle-distance runner. Her life changes when she’s offered admission to Quebec’s best university athletics program, in Montreal - far from her suburban Quebec City home. Sarah doesn’t have her mother’s financial support for the move, or any support at all: her mother worries that leaving will be bad for Sarah’s health and life. But Sarah is stubborn, and moves to Montreal anyway, with her friend Antoine. Though barely out of their teens, they get married because they want the best scholarships and loans. Marriage turns out to be completely different from what the naïve 20-year-olds expected. Sarah doesn’t want to hurt anyone with the choices she makes, it’s just that she loves running more than anything else. From France, Les Salauds (Bastards) by Claire Denis. A film many expected to appear in the main competition. Captain on a container-ship, Marco Silvestri is called urgently back to Paris. His sister, Sandra, is desperate… her husband has committed suicide, the family business has gone under, her daughter has gone adrift. Sandra accuses the powerful businessman, Edouard Laporte responsible. Marco moves into the building where Laporte’s mistress lives with his son. What Marco hadn’t foreseen are Sandra’s shameful, secret manœuvres… and his love for Raphaëlle which could ruin everything. From Argentina, Wakolda by Lucía Puenzo. "I lived in Rome when I was young, I worked there. Over the years I've noted many anecdotes linked to Rome. Then it was the character of Toni which gave me the idea to make this film. "Paolo Sorrentino on the film's origin. 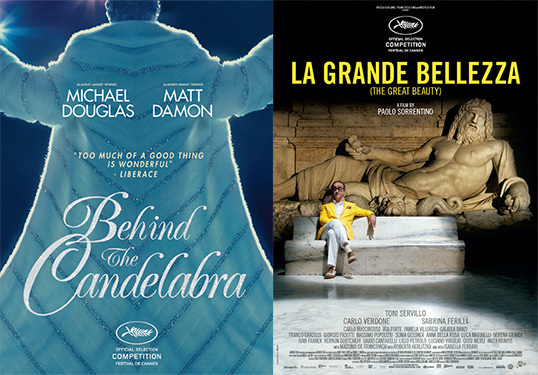 I already got Behind the Candelabra set to record on that Sunday though I'm going to watch it a few days afterwards as I need a bit of break once this marathon is over. I'm really sad about the Claire Denis reviews. What a huge shame. I'm dying to see that film. I would have thought Cannes would be a fairly good audience for her, so those reviews do worry me. Nothing seems to have gotten the same buzz Holy Motors and Amour had last year - at least at this point.